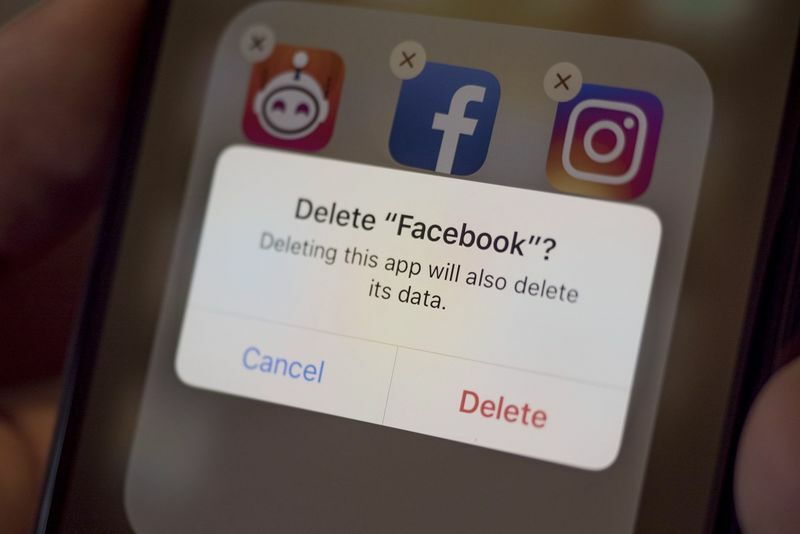 Facebook has made several deals with Samsung and other Android devices to make it impossible to delete the app from their smartphones. After Facebook's apology video, where the social networks admitted that the site – which was once a platform for bringing people together, was now more like an online coliseum of hatred – you would totally be forgiven for thinking that Mark Zuckerberg was trying to clean up his act. However, it now appears that the social media giant has decided to cut its losses and go full Orwellian, taking the choice of using it out of the equation. Everything can be deleted, right? Wrong! Due to these recent deals that are currently shrouded in mystery – because Facebook ironically won't share any information on them – it means that the Facebook app comes pre-installed on Samsung and Android devices and can only be disabled, not deleted. A Facebook spokesperson said the deals had been put in place to give Android users "the best" phone experience. If you had to think about it, Facebook can be seen as our mom in this situation, it just wants the best for us. All they want to know is where we are, who we are talking to, what we are talking about, how we vote and also if we'd be down to share some Russian propaganda. Privacy International analysed 34 popular Android apps with user bases of between 10 and 500 million and found that 23 of the apps sent data to Facebook the moment a user opened them. So what is the solution? The recent rise in sales of "dumbphones" could spark the start of a technological revolution? Maybe just go off-grid altogether – byeee!